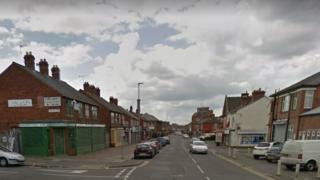 A 62-year-old man has denied murdering another man who died 10 months after being stabbed in a street in Leicester. Ashton Slatcher, 43, from the city, was attacked in Green Lane Road on 24 August 2017. He was left with a significant brain injury and died in hospital in June 2018. Martley Matthew, formerly of Burleigh Drive, Wigston, pleaded not guilty to murder at Leicester Crown Court and will face trial on 1 July.